It's been a glorious summer of sport with Euro 2012 and the Olympics to tide us over, one could almost be forgiven for barely noticing that club football had even ended. Not me though, I am raring and ready to go for the new season, and I know you are too. 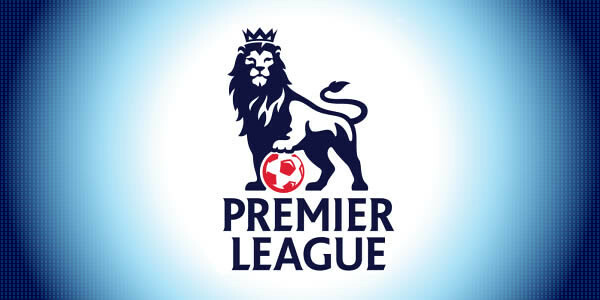 As per usual the Ephemeric is here to run the rule over every team in the Premier League and render a few solid predictions. Read on for the ultimate preview of what awaits us these next nine months. The Arsenal faithful could be forgiven for bringing up the famous Yogi Berra quote "It's déjà vu all over again" as they once more watch a key player and club captain walk the silver-lined path to bigger things. But really who could blame Robin Van Persie? The last ten players to leave the Emirates have won nine league titles, three Champions Leagues and twenty two other titles between them, while over the same time period Arsenal have won bupkis. But this is not necessarily a time of crisis for the club. Every season Arsenal seem to find themselves in a similar position, and yet they always manage to pull through and maintain their place on the fringe of the Premier League's top tier clubs. Arsene Wenger deserves a lot of credit for this. This season the club have even been uncharacteristically active in the transfer market, spending one excess of £40 million on the likes of Lukas Podolski, Olivier Giroud and Santiago Cazorla. These look to be fine signings, but success is far from guaranteed; Podolski has struggled to live up to his potential in the German League, while Giroud comes from relative obscurity. Out of the three it's Cazorla who looks the safest bet to become a key player for the club. Of the existing personnel, the return of Jack Wilshere after a nightmarish season in the physioroom will make a big difference, as will the fitness of new club captain Thomas Vermaelen. Fans will also be counting on the continued development of youngster Alex Oxlade-Chamberlain. Verdict: A title challenge seems unlikely, but barring a major failing of the new blood, the club will still squeeze its way to a safe top 4 finish. In retrospect Alex McLeish was always going to have a tough time winning over the Villans, not least of all because of his controversial move from arch rivals Birmingham, fresh from getting them relegated. Indeed it turned out to be the worst fit for a club since Brian Clough went to Leeds. McLeish was promptly shown the door. Enter stage left Paul Lambert, one of Britain's brightest young managerial prospects whose successful tenure in charge of Norwich culminated in a journey from the depths of the lower leagues to mid table safety in the Premier League last season. Lambert's task is a difficult one. The club has been on a downward spiral ever since Martin O'Neill quit, and most of the team he had created has followed him out the door. Lambert's job description entails no less than a major rebuild. Six new players have already been signed.. Verdict: A year of transition for an under performing club. Lambert is undoubtedly capable of doing the job, but one shouldn't expect miracles too quickly. Consistency has never been Chelsea's strong suit, but last season saw this habit taken to new extremes. On the one hand the club suffered a miserable 6th place finish in the league, but then they won two out of three major trophies, including an historic first ever Champions League title for a London club. Simultaneously their worst season in a decade and their best in the club's history. Understandably then there is a great deal of uncertainty ahead of this season. The new manager is a club legend as a player, and as caretaker manager led the club to historic success last season. But there are serious doubts over how he will be able to cope with a full season in charge, with very different expectations upon him than when he took the reigns last Spring, with the club pretty much circling the drain. Add to this the fact that talismanic frontman Didier Drogba has finally moved on and Frank Lampard is on the decline and you can see that this promises to be a tumultuous year of transition. The days of the Mourinho old guard are finally coming to an end. But on the bright side, the club have strengthened well this summer with Eden Hazard, one of the hottest prospects in European football, as well as young Brazilian hotshot Oscar and Marko Marin who once upon a time was the next big thing in Germany. Add to this the continued progress of youth products like Ryan Bertrand and Daniel Sturridge, amongst others, and this Chelsea team certainly has the look of a squad with big things ahead of it, even if not necessarily this season. Of the existing squad, defensive stalwarts Ashley Cole, John Terry and Petr Cech remain key to this team's success, but the new focus appears to be very much on attacking football. Following the new signings this is a team that now appears over saturated in the attacking midfield area and it will be interesting to see how Di Matteo can fit them in. Elsewhere Fernando Torres has a make-or-brea season coming up following an inconsistent start to his Chelsea career. He showed great promise with strong performances particularly in the tail-end of last season when he scored his first hat trick as well as key goals on their way to Champions League glory. Winning the Golden Boot in Euro 2012 will have done wonders for his confidence but now he really has no excuse not to deliver. Verdict: Lack of depth up front is a concern, with only the inconsistent Torres on the books as an out-and-out striker. Few would predict a title challenge for this young team so soon, but certainly the minimum expectation will be top four, any less will be a failure. Same old story for one of the most consistent teams in the league and one of the steadiest managers around. Probably the most important development for the club this summer has been David Moyes resisting the allure of Tottenham to stay put at Goodison. Moyes will now have another year to attempt a surge into European contention on a shoestring budget. Tim Cahill's time at the club has come to an end, and Jack Rodwell has finally made his move to a bigger club with Manchester City his ultimate destination. On the other hand they have resigned Steven Pienaar who, despite there not being many Tottenham fans who are too sorry to see him leave, was once a solid player, and can be again. They have also signed Kevin Mirallas, one of the myriad of attacking midfielders in Belgium's "golden generation". Following the Rodwell sale, Everton find themselves in the rare position of actually having money to spend, and still a few weeks in which to do it. However the most important move the club's management can make in the near future will be an extension of David Moyes' contract, now with one year left to run. Martin Jol did well to get this Fulham team into the top ten after their terrible start last season, but it would be foolish to rest on their laurels. Indeed with the loss of Bobby Zamora last year and captain Danny Murphy this summer, there are holes all over the pitch that need filling. Fortunately the club have been active in bringing new firepower to the club. Hugo Rodallega joins from Wigan, and despite an awful last season he has impressed more often than not in recent years for a poor Wigan side. In addition Mladen Petric signs from Hamburg, and will be hoping to strike up a productive relationship with his manager, with whom he has worked in the past. More concerning will be the overtures being directed towards Moussa Dembélé and Clint Dempsey, the later being one of the best players in the league last season. If Jol can keep ahold of those two, and keep them happy, then I foresee decent results this season, otherwise they could easily sink down the table, and fast. Verdict: Very much contingent on certain players not leaving, but should achieve another comfortable mid table finish. Another very poor season left the Reds in 8th place, and Kenny Dalglish without a job, patience having run thin despite his club legend status and Carling Cup victory. The new man is the up-and-coming Brendan Rodgers, following successful stints with the Chelsea youth team and more prominently Swansea's successful first season in the top flight last year. The club has shown in recent years that it is not averse to taking a managerial risk on someone with little big-club experience. It hasn't worked well for them in the past, but fans will have fingers crossed that in this time they may finally have found the right man for the job. They have coped well following the loss of Fernando Torres, though perhaps eyebrows will be raised at the club’s decision to blow more than two times the Torres income (£45m) on largely unproven players like Andy Carroll (£35m), Jordan Henderson (£20), Stewart Downing (£20) and Luis Suarez (£23); although in the case of Suarez, the money appears to have been well spent, the jury is still out on the rest. Despite their underachievement in recent years it's hard to pinpoint exactly where this Liverpool side is faltering. In Pepe Reina they have a fine goalkeeper, Daniel Agger, Glen Johnson and Martin Skrtel make a fine back line. Instead their problems must lie up front; while Luis Suárez is an immensely talented player he doesn't have the physique to handle a lone striker's role without a backup. Meanwhile Stewart Downing on the wing was one of the disaster stories of last season. The closest thing to a remedy this summer has been the signing of Italian youngster and Chelsea youth product Fabio Borini. Deemed surplus to needs at Stamford Bridge, Borini then went on to have a very successful season in the Championship with Brendan Rodgers at Swansea, before moving to Italy for two years. It looks like he finally has his shot at the Premier League. Elsewhere the club has signed youngster Joe Allen, also formally a Rodgers player at Swansea, who impressed recently at the Olympics for Team GB. Verdict: Every season seems to be a new beginning for the club lately. As big a fan of Brendan Rodgers as I am, I would be surprised and impressed if he can pull off anything better than 5th or 6th place this season. It was inevitable that heavy investment would yield success, and so it happened that Manchester City won the title after decades of waiting, and in the most dramatic way possible. You have to say they deserve it too, they simply have the greatest array of talent in the league right now, although Manchester United push them pretty close. Roberto Mancini proved all the doubters wrong in some style, although in fairness with these kinds of resources Ian Dowie could probably win the title too. The squad has not been strengthened much at all this summer, and why would it with all the talent at their disposal? Despite this, it's likely that the club will be challenging once again at the top of the table. Instead the goal for Manchester City must be to push forward and attempt to make an impression in Europe finally. It's a tall ask and a big step up from the domestic league, but anything is possible. Jack Rodwell is a fine, if largely superfluous singing, and the club will feel unfortunate to have missed out on Robin Van Persie. More interesting is the return to good graces of Carlos Tévez, seemingly on the way out after he refused to play for the club and practically went on strike. Now that City are Champions though, suddenly Manchester doesn't seem so bad and he looks set to become a key part of their attack. Verdict: Will challenge again, but important to note that they only just squeaked it last year, and rivals United have improved over the summer. They have a great shot, but I don't predict back to back titles, a feat only achieved during the Premier League era by Chelsea and Manchester United. Luck just wasn't on their side as Manchester United found themselves trumped to the title in the dying seconds by a hungrier Manchester City side. But the fact still remains that this should have been United's title; with eight games to go they were comfortably in the lead, only to throw it away in a manner that is most uncharacteristic for an Alex Ferguson team. The manner in which this grave defeat was inflicted more than anything will spur the club on this season, determined to set the record straight, and even though City may appear the stronger side on paper in many regards, it is hard to bet against United. City have barely changed this summer, and will be relying on increased team cohesion and maturation of young talent to move forward. United on the other hand have strengthened well, with Dortmund's gifted Shinji Kagawa joining the squad along with Arsenal's star man Robin Van Persie. The club now boasts an embarrassment of attacking riches, including a fantasy pairing of Wayne Rooney and Van Persie. Verdict: Desperately unlucky to take the crown last time, but will begin the new season as favourites. Last season proved to be an astonishing success story for Newcastle, who achieved a fantastic 5th place finish on only their second season back in the top flight. What's more impressive is how they managed it, with quality performances from a quality group of players. The club has strong management from Pardew and some astute player recruitment to thank for this success. A top notch defence has formed, featuring the likes of Simpson, Taylor, the other Taylor and Krul in goal. Their midfield is exceptionally gifted, with Ben Arfa, Cabaye, Tioté and Gutiérrez. Meanwhile they managed to find two of the best signings of last season in the Senegalese striker partnership of Papiss Cissé and Demba Ba. This is no longer just a plucky newly promoted side, this is a team that can compete with the very best out there. This season will be different however, with the increased weight of expectation and the wariness with which other clubs will now view Newcastle. Add to this the increased physical burden added by a European cup campaign and suddenly one might start to doubt whether the club has sufficient depth to compete at the same level. Fans will rightly be ebullient over last season's triumphs, but they would do well to approach this year with caution, as a similarly high finish in the table is far from certain, and such aspirations may in fact be doomed to disappointment. Verdict: Unlikely to achieve the same high standing as last season, but should at least manage high mid table. Last season was job done for the Canaries, and another impressive accomplishment for Paul Lambert, who has since moved on to a bigger and greater challenge at Aston Villa. Under new management, this season will be more difficult for the club, however in Chris Hughton they have chosen well, and placed the club in very capable hands. That being said, they still face what is very much an uphill battle. So frequently we see clubs come up from the lower divisions and do ok in their first year, only to suffer second-season-itis and go right back down the next. This could easily happen to Norwich this year; a team with little top flight quality on paper, a loss of a talismanic manager, and despite Chris Hughton's best efforts, a real possibility for the drop. A long season lies ahead, but Norwich are certainly not going to be pushovers. Verdict: Staying in the Premier League will be a tough challenge. We were bullish over their chances last season, but this time not so much. Despite their considerable resources, QPR only just managed to stay in the top flight last season. Neil Warnock was deemed not entertaining enough to stay at the club, and world class scowler Mark Hughes took his place. To their credit they have made some very solid signings this summer, including Ryan Nelsen, Park Ji-Sung, Robert Green and José Bosingwa. Despite this much needed squad depth, they still have the look of a team against whom the odds of survival are very much stacked unfavourably. Add to that the fact that for the most part despite his reputation as a player Mark Hughes has yet to really shine as a manager in this league and you have the recipe for a club who look certain to at least be involved in the relegation tussle. Let's not even mention Joey Barton. Verdict: For all Mark Hughes' bluster he seems to have a very short life expectancy at his jobs, and there's a reason for that. Expect QPR to finish in or around relegation zone. Consistency is the name of the game at McDermott's Reading side, with many of these players having been together for a number of years now. This ability to form a cohesive unit has seen Reading improve greatly with each passing season, and last year they finally claimed their reward by running out as Champions of the Championship, earning promotion back to the top flight. In addition they have the vast wealth of new owner Anton Zingarevich to fall back on, certainly not in the same league as the owners of Manchester City or Chelsea, but enough that the club has been able to bring in players with top flight experience straight away. Yet Reading have still been made one of the favourites for the drop this season. It's true that they may not have the name recognition in club or manager or players of some of the other teams to be promoted in recent years, but write them off at your own peril. McDermott has proven himself a shrewd manager, and as QPR showed us, money can make a big difference in a relegation battle. Verdict: Reading will be tough to beat, and even if they are struggling by January, they will invest heavy. A struggle awaits, but I expect the club to finish a little above relegation when all is said and done. The turnaround for this club has been remarkable. Having gone through a Leeds-esque collapse involving administration and multiple relegations, the fact that they have managed to claw their way back to the top flight is remarkable. It's manager Nigel Adkins who has seen them this far by forming one of the more resilient and physical sides of the lower divisions. However the Premier League will be an entirely different beast, and the club now finds itself with a largely League One playing staff. It will take more than guts for them to stay up this season. Fortunately the club has been quick to strengthen this summer with some real top flight quality, including Jay Rodriguez and Steven Davis. Meanwhile Crystal Palace's Nathaniel Clyne is a very bright talent with the England youth squad, and has long been tipped with a step up to the Premier League. The question is will this be enough considering the dearth of proven quality elsewhere in the squad compared to their rivals in the Premier League? Verdict: Will be an incredible achievement if they manage to avoid relegation, but don't bet on it. Another impressive season for Pulis' Stoke City team. Now firmly established in the Premier League, Pulis has also brought this side to the FA Cup final and the Europa League. The question is how much further he can really take the club. Stoke's rapid progress to where they are now has come at a cost, and the club finds itself saddled with players it can no longer afford, while also no longer being able to land marquee signings like Peter Crouch. They've competed now at the highest level, they've done it while mounting a strong cup run and a solid European campaign. The question now is whether it can be done in a sustainable fashion, because despite their reasonable efforts people still aren't flocking to JD Sports to pick up the latest Stoke kit. This could be Pulis' greatest challenge yet, but if he can pull it off then it would be a massive step forward for the club. Verdict: A lower half of the table finish, but safe, just. A disastrous start to the season saw Steve Bruce make way for the incomparable Martin O'Neill. From years of watching the man one would be convinced that there is no ship he can not steady, and no right he can not put wrong. And so it happened that O'Neill's arrival saw a significant and immediate bounce in the club's fortunes, though somewhat tempered by an end of season lapse which saw the club end up in a disappointing 13th place. There has been some alarm from Sunderland fans over the perceived lack of transfer activity this summer, but those fans would do well to remember the 30 odd players signed in the past three years that have done little to contribute to club stability. In addition, there is still the prospect of additional signings before the transfer window snaps shut, with a move for Wolves' Steven Fletcher supposedly on the cards. This is a club which already possesses its fair share of talent, from Sessegnon to Mignolet and Cattermole to bright youngsters such as Colback, McClean and Wickham. With this team, and O'Neill in charge, the minimum expectation has to be a comfortable mid-table finish, with a potential push for Europa League places if one or two more signings are brought in. Verdict: Push for a Europa League place, but mid-table finish should be the minimum aim. Something of a sensation in their first season in the top flight, Swansea managed to achieve top flight safety relatively early on. What was most impressive was the manner in which this was done, playing entertaining, attacking football, showing a confidence in the face of major opposition that belied their relatively low stature. But now ex-Chelsea youth coach and Swansea manager Brendan Rodgers has moved on to giants Liverpool, and many of his charges are set to follow suit. The most devastating of these will be gifted Icelandic midfielder Gylfi Sigur∂sson, but the club will also miss young Welsh hotshot Joe Allen. The good news is that from outgoing transfers and top flight television money, the club can afford to go out and effectively buy a whole new team if they wish, and new manager/Danish legend Michael Laudrup looks set to continue his predecessor's football philosophy. In particular the £2 million signing of Michu, who scored 15 goals in La Liga last season, appears to be something of a coup and some astoundingly good business. Verdict: Second seasons can be tough, but if Laudrup finds his feet quickly then this club can eke out a safe position in the middle of the table. It's been a summer of upheaval for Tottenham; unlucky to miss out on Champions League football at the end of last season, and then the surprise sacking of Harry Redknapp who most definitely did not cheat on his taxes. Now they have recruited André Villas-Boas, fresh off his turbulent and ultimately failed tenure at Chelsea. It's a bold move which not only provides the club with the opportunity to get one over their major rival, but offers AVB an immediate shot at redemption and vindication. With so much on the line, it's no wonder the club has added to its already impressive squad. Jan Vertonghen is the latest in a long line of Belgian starlets to join the English league recently, while Gylfi Sigur∂sson was one of the best players of last season for entertainers Swansea. Emmanuel Adebayor seems like a common sense addition following his successful loan spell with the club last season, and the fact that their only out and out striker besides him is the inconsistent Jermain Defoe. He also looks a steal at just £5 million (although one has to wonder about the wages). Verdict: The goal is a top four finish, but with the level of competition and the requisite adjustment period for a jarring new manager, this seems an unlikely target. Roy Hodgson was poached by the England national team following an impressive season with West Brom. His departure will rock the club, but was swift in replacing him with Steve Clarke. As Clarke's first full management job, this move presents something of a risk. Clarke served for many years as Chelsea assistant manager, where he was routinely hailed as a key component of the successful Mourinho years for the club, however he departed for Liverpool after being told in no uncertain terms that the club had no intention of promoting him to manager with so little experience under his belt. Now he has finally been given his chance, and his performance will be watched with great interest to see if he can prove all the doubters wrong. What's more, he's got a good shot at doing just that. The club have signed shrewdly this summer, including the likes of Ben Foster, Romelu Lukaku on loan, and Claudio Yacob. In addition they still have the same core squad featuring Shane Long, Chris Brunt and Peter Odemwingie, but questions will be raised over squad depth. Verdict: Should have enough to avoid a serious relegation threat, but much uncertainty over inexperienced manager's ability to cope. Sam Allardyce's style may not have won him too many fans, even from among the West Ham faithful, but he got the job done. The club had to satisfy for a playoff end to the season rather than straight promotion, but they got their in the end, and found their way to the promised land of the Premier League. Now they must find a way to stay there. Fortunately in Allardyce they have exactly the right man for the job. A familar face in the top flight, Allardyce is notorious for his hard fought, take no prisoners style. It's not pretty, but it's effective, and while it's completely at odds with what West Ham fans idealise about their club, it might just be their best hope. As one might expect from an Allardyce team, West Ham's play comes mainly down the middle, where Kevin Nolan is still a threat despite his advancing years, and Ricardo Vaz Tê an effective frontman. This summer they have added more defensive cover in the form of James Collins, Alou Diarra and goalkeeper Jussi Jääskeläinen. They won't set the Premier League alight as Swansea did last season, but they will be tough to beat. Verdict: Could conceivably find themselves dragged into a relegation battle, but with Sam Allardyce at the helm they have the tools to avoid any serious threat; a good chance of survival. Every season I predict Wigan to get relegated, and every season they defy the odds to just about escape this fate in the dying stages of the season. So this year, while my first instinct may be that they face a struggle to survive, I suspect they may just squeak it once again. Roberto Martínez has done a heck of a job keeping the club treading water despite all the close calls, and it's no wonder he was pursued so aggressively by Liverpool this summer. Latics fans will no doubt be thrilled that he resisted the Reds' allure. Goals have always been the problem with this team. Franco Di Santo is getting better, but unfortunately still remains far from consistent, while new signing Arouna Koné brings some much needed reinforcement to this area. Still, there is no doubt that this team's strength lies in its solid defence, including goalkeeper Ali Al-Habsi, Maynor Figueroa and Iván Ramis. Verdict: It will be a tough season again, but I am backing them to just scrape survival yet again.